Welcome to the World of Suri Alpacas! You have come to the right place learn more about Suris, Suri fiber, and Suri products. The North American Suri Alpaca Industry began over 30 years ago with the first importation of Suri alpacas from South America. Today, people are raising Suri alpacas all over the United States and Canada and are utilizing the exquisite fiber that Suris produce. No wonder Suris are called "The Rarest of Breeds...the Ultimate Natural Fiber." We invite you to explore this site and discover the wonderful world of Suri Alpacas. Be sure to check out the Find a Farm feature where you can discover a Suri alpaca farm/ranch close to you. Finally, shop in our Member Store where you can find an array of alpaca fashions including socks, mittens and scarves. You can also satisfy your creative side by finding all sorts of yarns and rovings for knitting and spinning. The Suri Network and Suri breeders are committed to the advancement of Suri genetics and to the advancement of the economic value of Suris. The Suri alpaca is the only alpaca in North America to have an association-written and approved breed standard. Suri breeders understand the importance of continued education and research for the long term growth of the Suri alpaca. The Suri Network's board is focused on industry aspects which will benefit all breeders of Suri alpacas. 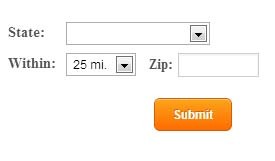 Visitors and guests are encouraged to Request More Information by completing our guest page. Find a Suri farm to visit and learn more about this wonderful livestock, or a Suri Network member in your area who has Suri products for sale. PurelySuri is the Suri Network's breed association magazine. Published annually and supported by member advertising, the magazine has articles of interest for both seasoned Suri owners and newcomers alike. View the Current Issue online by clicking the cover. You can also purchase Back Issues and purchase Advertising for the next issue. Also, you may want to take advantage of our "Get the Word Out" program. Suri Network members can have up to ten issues mailed to business of their choosing. 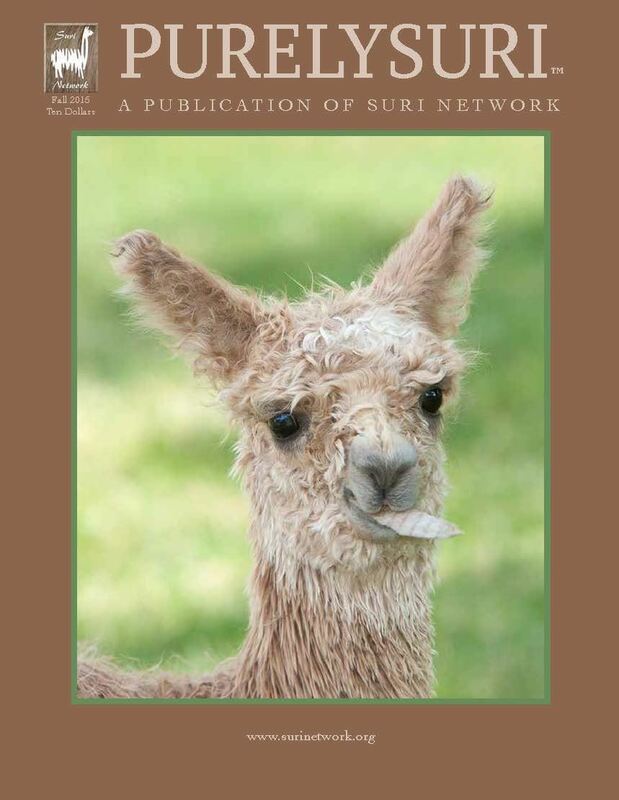 The SURI NETWORK ha s been devoted to the “Preservation of the Suri Phenotype – Fiber and Alpaca” since its inception, benefiting its membership and Suri owners worldwide. These programs include a Breed Standard, Herd Classification and EPDs and are encompassed in SHIP - the Suri Herd Improvement Program. Gail Campbell, Ameripaca Alpaca Breeding Co.
Ben & Lynda Fisco, Humming Hill Suri Farm Ltd.
Find a Farm/Ranch Near You! The Suri Symposium is always the alpaca education event of the year! You don't want to miss it! The 2019 Suri Symposium and All-Suri Fleece Show promises two full days of outstanding education and networking opportunities. The Symposium is Aug 9-10, 2019 and Fleece Show judging is Aug 7-8, 2019. See the detailed schedule and speaker bios for for more information. General sessions and workshops topics will be focused on how we create SURI SIMPLY STUNNINGTM in our herds. Topics include the state of the global and US Suri markets, industry trends, growing our markets including exporting, tools for herd improvement and breeding decisions, sustainability in the fashion world and its impact on Suri products, the latest news on our SURI SIMPLY STUNNING branding initiative, pain management and halter show 101. The Suri Symposium is not just limited to Suri Network members. We encourage and welcome Huacaya breeders, as well as people who have not yet purchased their first alpacas. It's a great learning opportunity for everyone, whether experienced or not! Fleece Room Volunteering Opportunities: When you register, there is a comment box where you can volunteer to work in the fleece room. We will need help from 8am-5pm Tuesday August 6th through Thursday August 8th. When you register, you can also sign up as a sponsor! You have a great opportunity to support the Symposium and Fleece Show PLUS get recognition for your farm! Consider these levels of sponsorship, and then sign up when you register! You may also call the Suri Network Office at (970) 586-5876 to sign up as a sponsor. Placement of one Farm Flyer designated to market your farm, your herdsire, or your herd on a specail Symposium Table. This sponsorship helps defray the cost of shipping fleeces from the National Fleece Show directly to the Suri Network Fleece Show and includes recognition during the Symposium and in the Suri Network Newsletter. The Suri Network held its first online fundraising auction in 2018 and it was filled with amazing items. It was a huge success raising over $4600 for the Suri Network mission. Stay tuned for the 2019 online auction COMING SOON which will showcase our members products and other awesome suri items.